Your board has voted to move ahead on a project, and is relying on you, the manager, to direct the board in this process. Should you hire the second cousin of a member, who is starting a new construction business? Not a good idea? 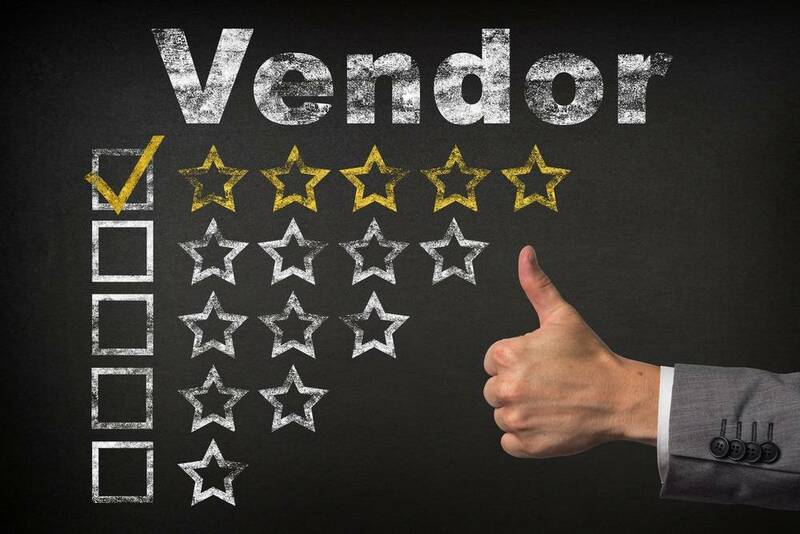 How do you go about selecting the right vendor? To start, the association’s governing documents must be consulted to determine whether competitive bidding is required. Although California law does not require that associations use a formal bid process, the governing documents often do specify that a certain number of bids be obtained, especially for contracts over a monetary limit. For large jobs, whether or not required by the association documents, it is always a good practice to start with competitive bidding. Although the “formation of contracts with third parties” is a subject for executive session, it is also wise to keep some transparency in your procedure, so that the membership will ultimately support your choice. Whether you are re-roofing the entire community, or hiring a new landscaper, it is best to start with a spreadsheet format of the specs for your project. In comparing vendor prices, you want to compare apples to apples. For instance, if the board wants 5 acres of lawn mowed on a weekly basis, fruit trees trimmed at a certain time of the year, oak trees trimmed at a different time, a certain number of bulbs planted each fall, and daily watering and clean up without leaf blowers, the specs should say just that. Construction jobs may require the expertise of a construction manager or architect to develop the bid specs. Once the specs are distributed, the bidding contractors should be given a strict time deadline within which to bid. Remember that the lowest bidder is not necessarily the best choice. In fact, a particularly “low-ball” bid should heighten your radar for any reasons behind the price discrepancy. Asking those questions is an important part of your due diligence. In addition to price, it is critical to find out if the vendor has the proper credentials for the job. In California, a valid contractor’s license is required for any work (exceeding $500 in labor and materials) which falls under the classifications set by the California State License Board. The CSLB website should be checked not only for whether the license is required and active and issued in the proper name, but also for any disciplinary history. Hiring an unlicensed contractor for a job that requires licensing creates myriad risks including the high probability of a lack of insurance and bonding, no official records to check for complaints or discipline, no incentive for avoiding the loss of a license, and the fact that the vendor will automatically be considered your employee under Calif. Ins. Code § 2750.5, rather than an independent contractor. In one published case, Heiman v. WCAB (2007) 149 Cal. App. 4th 724, a $1000 gutter installation job became a million dollar liability when the vendor was electrocuted. In another case, Sanders v. Cerda (2009) 175 Cal.App.4th 430, an association had to pay for work twice, because they had to pay the wages of the unpaid employees of the unlicensed contractor, although they had already paid the unlicensed contractor. Checking references is vital, and it should involve more than looking at a list. Committee or board members should make contact with the references, find out if the work performed was similar, and whether the association is similar. Ask the hard questions about what problems came up, whether there were change orders, and whether the job was completed on time. Sometimes checking the financial soundness of the vendor is also necessary, especially for a construction job where deposits will be paid before work is performed. Financials and a bank reference can be requested, or a performance or payment bond (sometimes referred to as surety bond) obtained. A performance bond guarantees the satisfactory completion of a project/job. For example, a contractor causes a performance bond to be issued in favor of a client for whom the contractor is constructing a building or performing work. If the contractor fails to construct the building according to the specifications laid out by the contract or fails to perform the work as required, the client is guaranteed compensation for any monetary loss up to the amount of the performance bond. Performance bonds are commonly used where an owner wants to assure that the value of the work will not be lost in the case of an unfortunate event, such as the bankruptcy or insolvency of the contractor. A payment bond guarantees that the contractor will pay the labor and material costs which the contractor is obliged to pay. The payment bond avoids the problems accompanying a materials supplier or a subcontractor recording a mechanics lien on the property where the work is to be performed and/or the materials are to be used. The bond assures payment so that the owner of the property does not have to pay the lienholder the amount required by the recorded mechanics lien. As mentioned above, it is the law, rather than the label, that will determine whether a vendor is legally considered an independent contractor or an employee. An unlicensed contractor will be considered your employee. If you are creating an employment relationship, you must abide by wage/hour law as well as all other California employment statutes, provide worker’s compensation coverage and other necessary coverage, and keep in mind that your association (or possibly the management company) will be vicariously liable for the acts of the employee. In choosing an independent contractor, make sure that worker’s compensation insurance is in place, as well as sufficient liability insurance. The job of choosing a vendor is not done until the written contract is negotiated and signed. In addition to considering the price, the qualifications, the bonding and insurance, the contract language, and everything else mentioned above, do not discount the importance of other “X” factors that are less concrete. Is the person who is so charming in negotiating to get your business the same person who will be on site running the job? Will he or she be there to address problems that may arise? Are your phone calls promptly returned during the bidding and contract formation process? Does the company have a long history in your community with a reputation that they will want to protect? Have you entrusted jobs to them in the past with a good outcome? Are they easy to work with in negotiating the contract? Do they promptly provide the necessary insurance documents, or do you have to chase after them for the additional insured endorsement? If you are getting a “bad vibe” about a vendor during the bidding and contracting process, think twice about whether those little things that are bothering you now are warning flags of bigger problems to come. Assuming that you have more than one vendor who meets all of the vital qualifications, and prices are within the same range, be sure to share with the board the “X” factors which you have noticed during the process. These can be invaluable to the board in making the final choice.